Students are required to attend regularly the Friday evening vespers service, the Sabbath School, the Sabbath morning worship service and the Saturday evening Adventist Youth programme. They are expected to conduct themselves in harmony with the sacredness of these services. Also, the students are expected to attend regularly the worship services in their respective hostels, the Seminary chapel exercises and the mid-week prayer meeting. The Sabbath is observed in a quiet manner, befitting the sacredness of the day. Appropriate choice of music, reading matter and conversation is encouraged to help maintain the Sabbath atmosphere. Any student who applies for admission to the Seminary undertakes to respect the Sabbath hours in accordance with the Biblical principles as observed by the Seventh-day Adventist Church. To develop further the spiritual attributes of character, the students are encouraged to participate in off-campus health and spiritual ministries in the community. Other co-curricular activities designed to develop in the student qualities of spiritual leadership and social awareness are the organized activities of the Pathfinder Club, College Men's Club, High school Boy's Club. 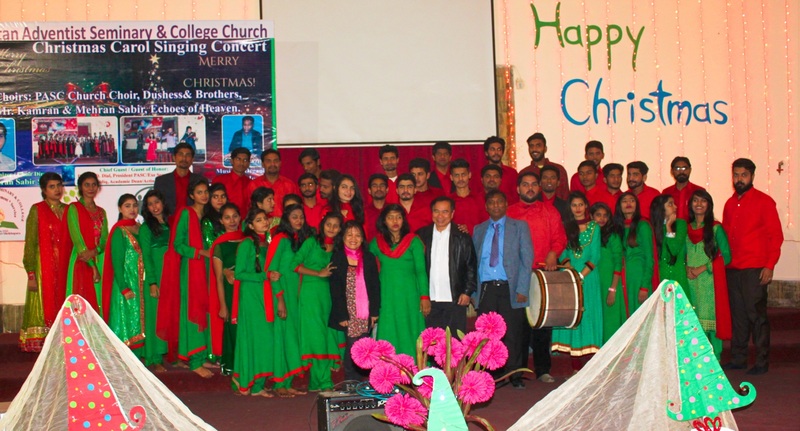 Elementary Boys' Club, and Girls' Club comprising of hostel and day-scholar students, and choirs. Each student is encouraged to participate in one or more of these supervised activities.